If there is one name that is synonymous with modern Post Progressive Metal, it would undeniably be Dream Theater. The supreme lords of the genre own their style, best described as mixing the progressive tendencies of bands such as Pink Floyd, Rush and Yes with the metal edge of Metallica and Iron Maiden. With a career spanning close to 30 years, Dream Theater have recorded over 10 million album sales around the world to a fanatical diehard fanbase. 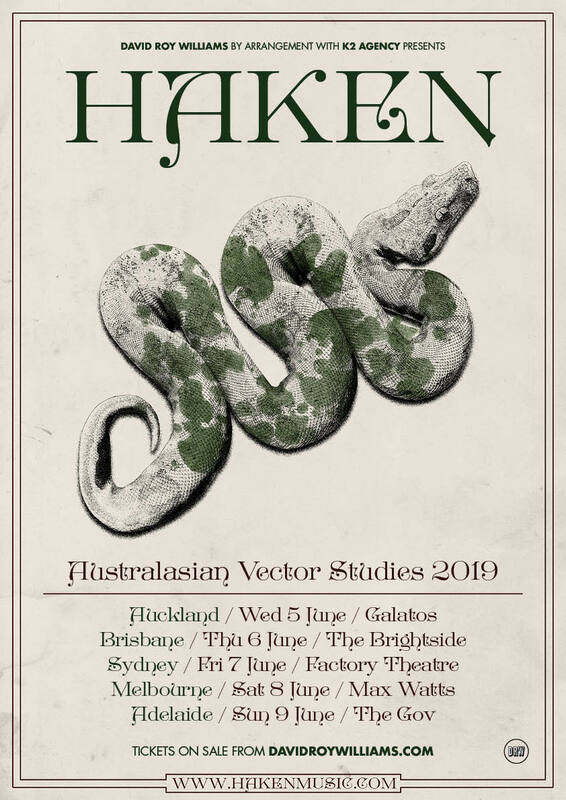 It has been 5 years since Dream Theater’s last visit in 2009 and Australian fans have been chomping at the bit for a return tour from the mesmerising kings of post prog metal. 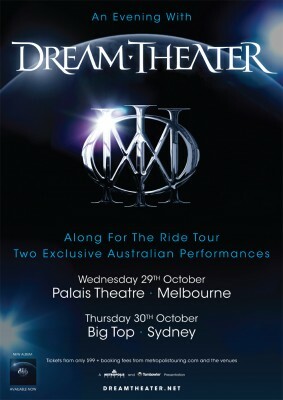 Metropolis Touring and Tombowler are therefore thrilled to announce Dream Theater will be finally returning to Australia for two very special, exclusive and intimate performances in Sydney and Melbourne this October! Expressive, extraordinary and genre-defining, Dream Theater’s music is as timeless as their dozen-album strong discography would suggest, while their latest album, the self-titled Dream Theater sees the band ever advancing toward new horizons. This latest record is the first featuring the full integration into the band of new drummer Mike Mangini, making their current lineup something to behold. The mountain of awards and accolades from publications such as Guitar World, Revolver, Metal Hammer, Rolling Stone, Spin, Classic Rock as well as Grammy nominations rightly bestowed upon the band over the course of their storied career shouldn’t overshadow the most important thing Dream Theater has always offered: engaging, deeply resonant and undeniably catchy songs. Pull Me Under, Caught In A Web, Forsaken, Lie, Take The Time, On The Backs Of Angels, Trial Of Tears, As I Am, Burning My Soul and The Enemy Inside are but just a few songs that have left fans in awe as they witness Dream Theater’s fingers fly; stirring up their own weather system of atmospheric and hauntingly hypnotic prog prowess. Dream Theater’s proficiency and technical wizardry is at full flight with the near three hour ‘An Evening With Dream Theater’ performance loaded with nothing but the best from Dream Theater! The tour has been nominated for a ‘best live event’ award at this year’s Progressive Music Awards, demonstrating it is certainly one of the finest Prog shows currently touring the world. Ensure you are one of the lucky ones along for the ride with Dream Theater on their two exclusive Australian performances in October!